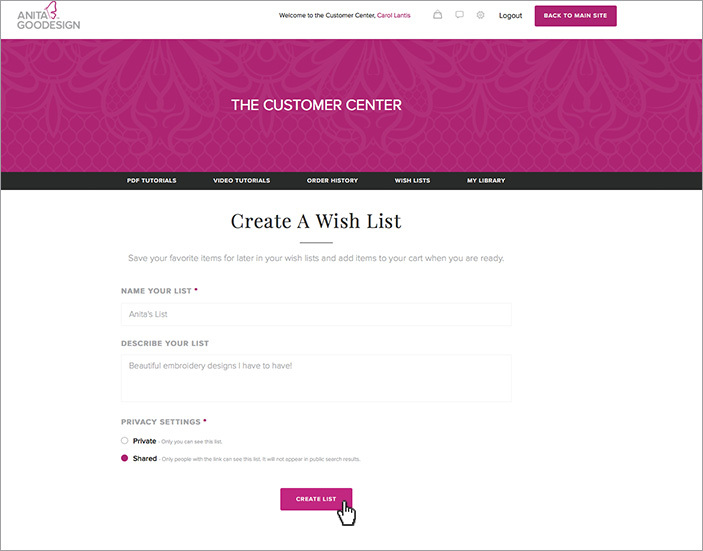 How To Create A Wish List! 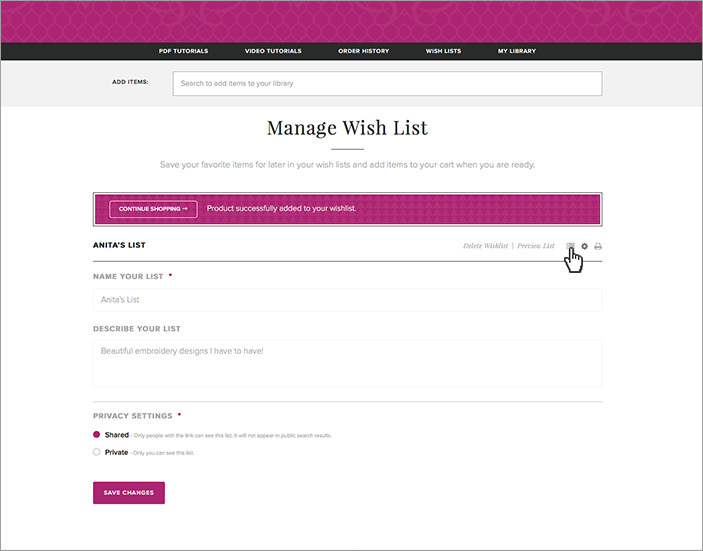 One of the top requests for some time now has been the ability to quickly create a Wish List! 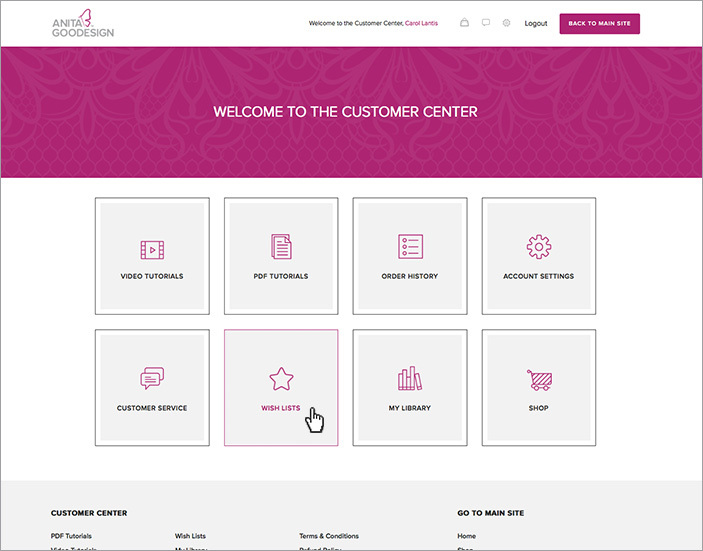 With the launch of this new website, we were sure to include this feature as part of our Customer Center. 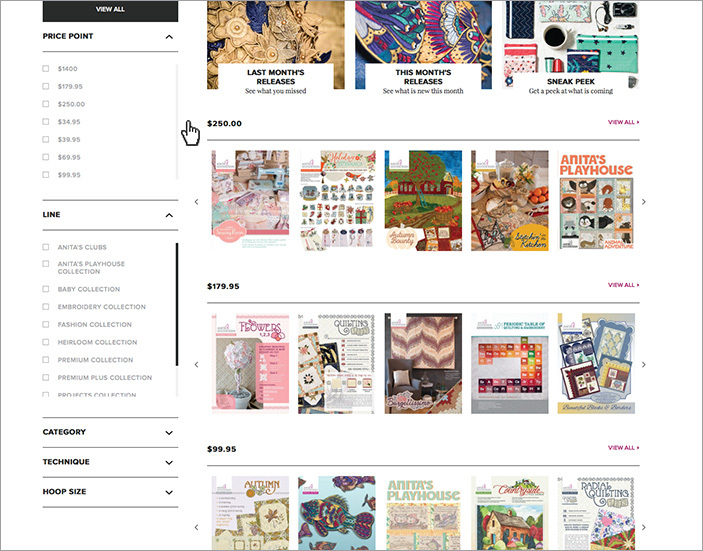 Now you can easily organize lists of all the collections you’re wanting to add to your Library! Once you’re registered, you’ll see the Customer Center dashboard. 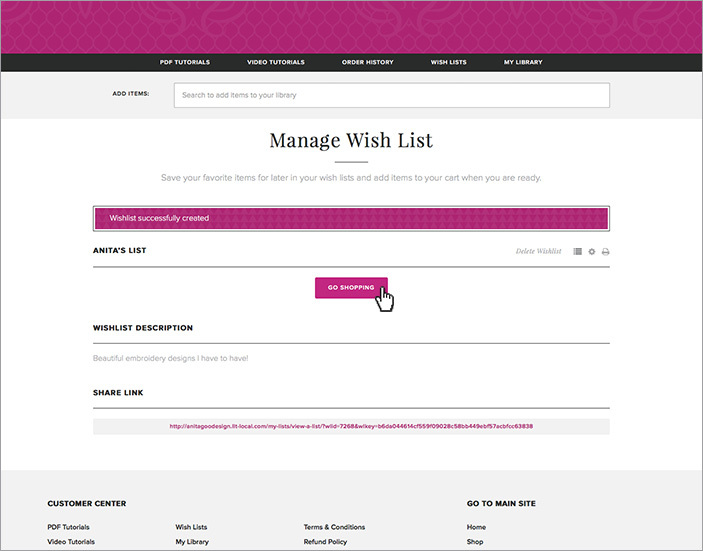 Click the ‘Wish List’ box. The first time you click onto the Wish List page, it will look like this. 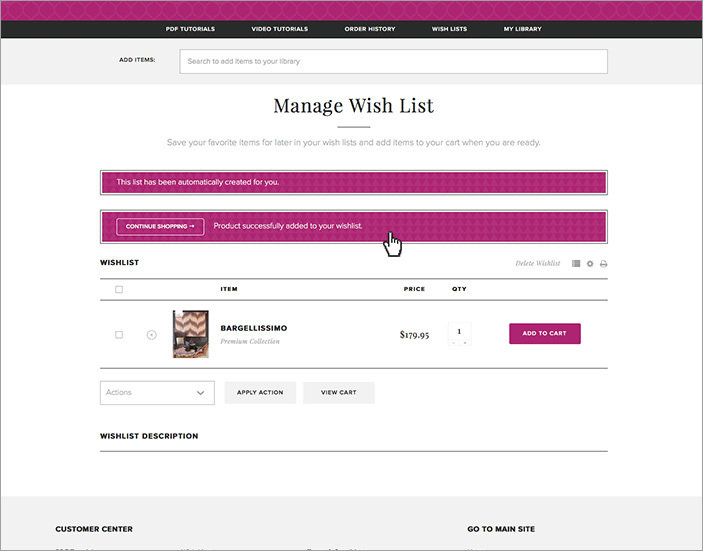 Click the ‘Go Shopping to Create a List’ button. 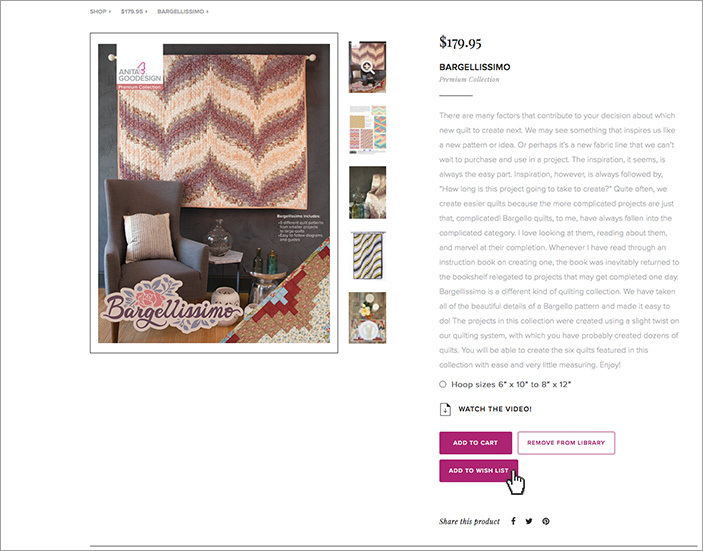 You’ll be able to sort through our products by price point, product line, category, technique, and hoop size. 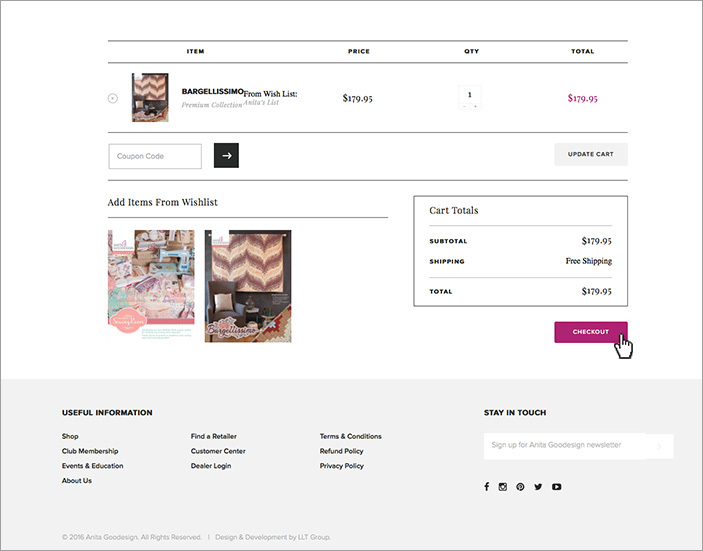 Add to Cart – this will automatically place the item in your cart for you until you’re ready for check out. Add to Library – this will add the product to your Library. This means that you already own the product, and has nothing to do with actually purchasing it. Add to Wish List – This will add the product to your Wish List! 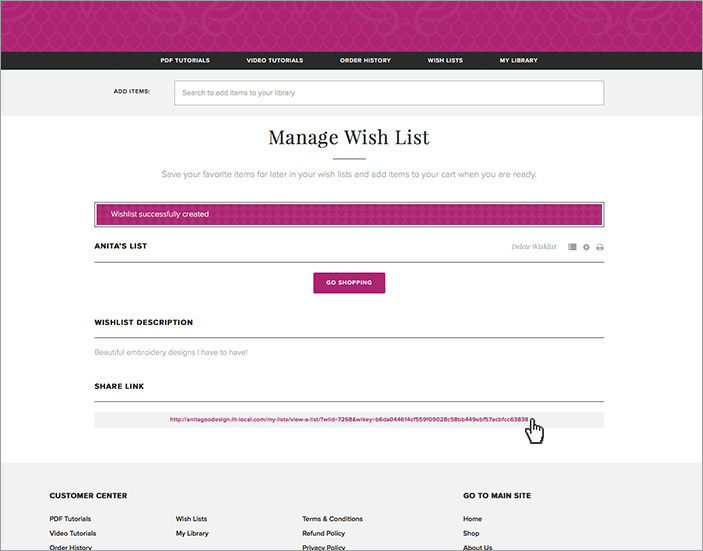 Now, when you head to your Wish List you’ll see that the item has been automatically added to the default Wish List. 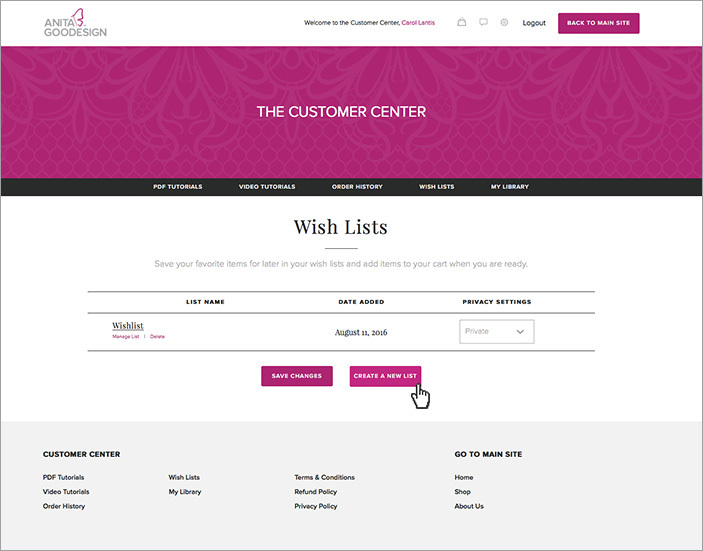 Click ‘Wish List’ in the top navigation to see your wish list command center! If you opted to share the list, a link will be at the bottom of the page. You can email this link to anyone you choose if you’d like them to know what is on this particular list. 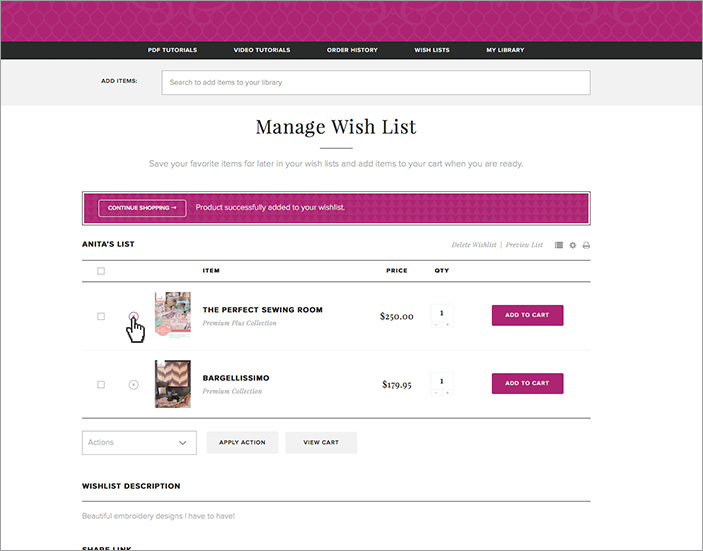 Click ‘Go Shopping’ to start filling up this Wish List! 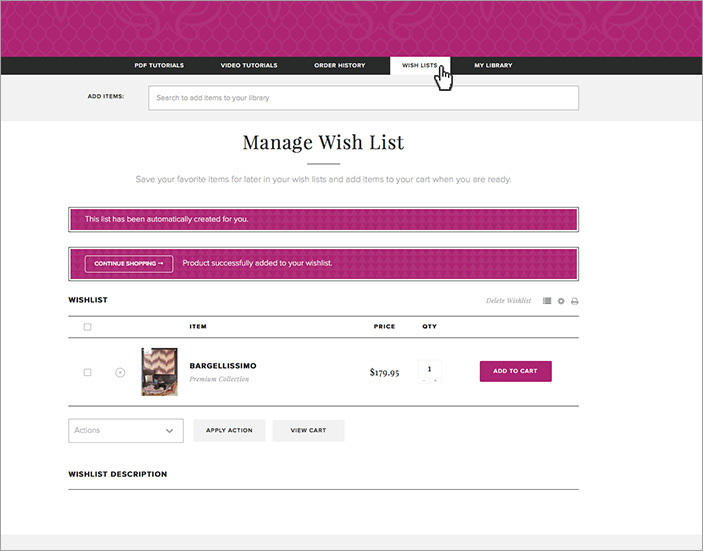 Now when you go to add the product to your Wish List, you’ll be asked which list you’d like to add it to. You’ll also be given the option to create a new list. 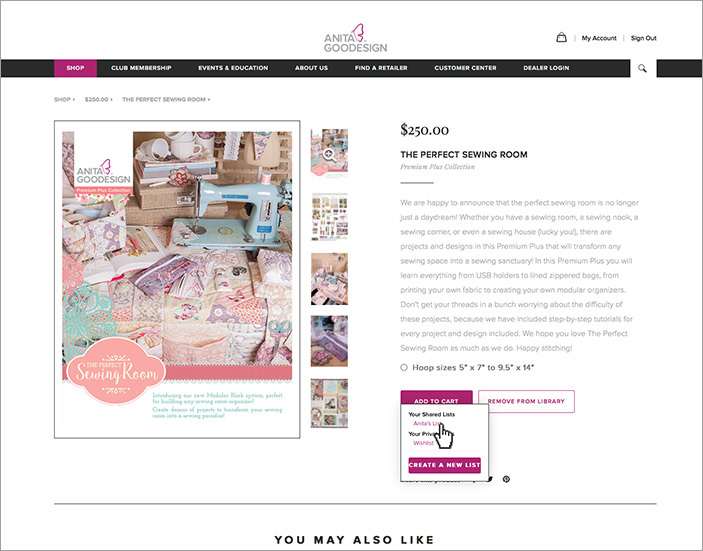 Once you click the list you’d like to add the product to, the site will navigate to that list. From here, you can manage the items on your list. You can remove the item from the list by clicking the X, or you can add the item to your shopping cart if you’re ready to buy! You can also click the product to return to the product page if need be. If you want to print the list, click the printer icon. If you want to change the name of the list, click the gear icon. Clicking the list icon will return you to the list. Ready to buy? Press the ‘Add to Cart’ button. What are you waiting on? 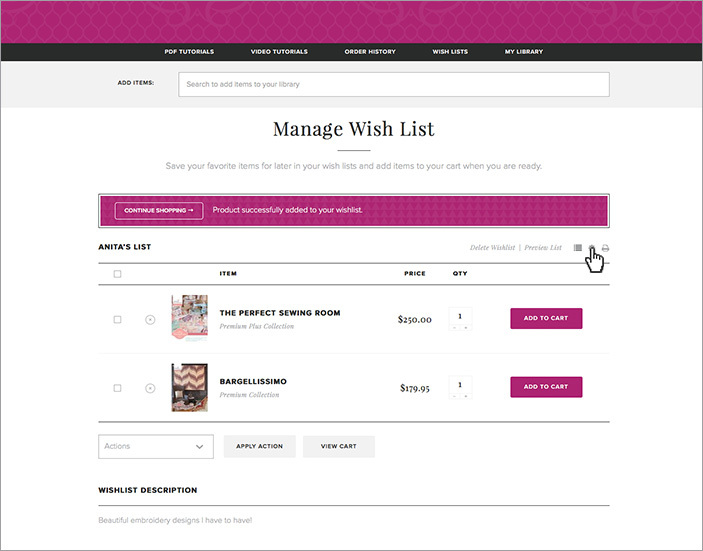 Start building your Wish Lists! !